The goal of this module is to introduce some basic art direction to control how images are cropped in SilverStripe. Problem: SilverStripe crops all images from the centre. If the subject is off-centre, it may be cropped out. 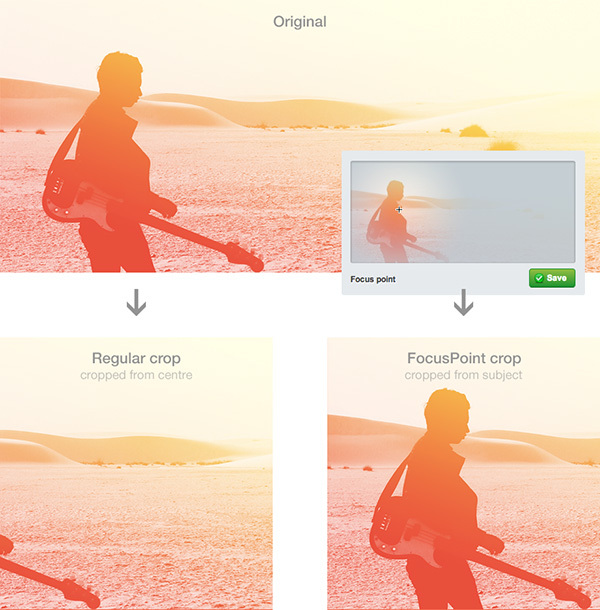 Solution: FocusPoint allows you to tag the subject in an image and ensures it is not lost during cropping. I don't have much time to donate to open source work anymore but if you're willing to sponsor the development of new features or updates I'm very happy to talk to you - please get in touch. Just want to say thanks? You're welcome to make a small donation.